Simply connect sensor to any unit analog input. Sensor is needed for control of movement over an infra-red range. Max. distance from the unit is 50 meters. Related links to "PIR sensor"
Installation On the bottom there is a mounting slot for fastening sensor by plastic bracket. 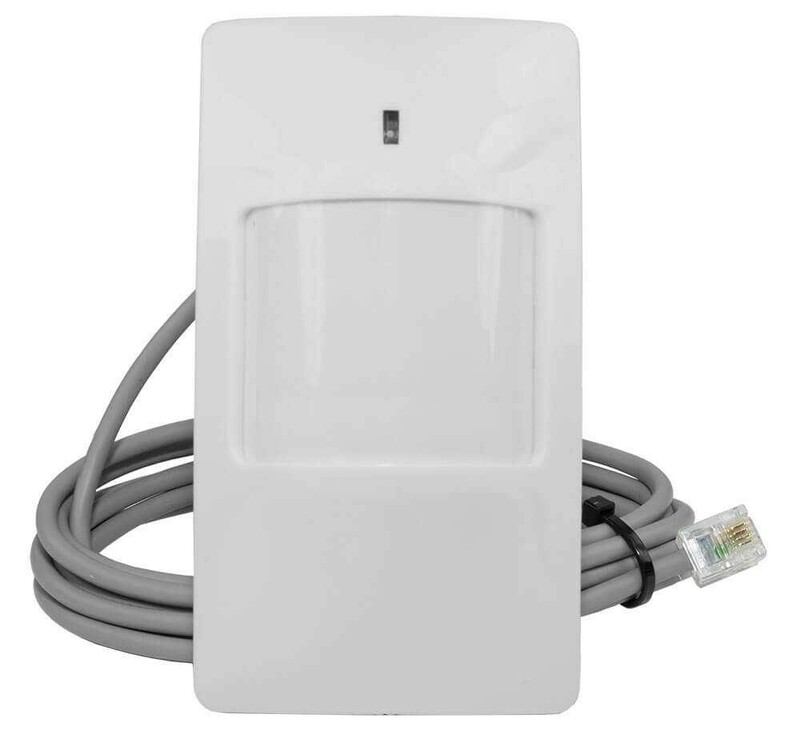 Connection Motion sensor contains RJ-11 jack and is connected to an analog input of any system unit. Determination of sensor's type and connection occur automatically. To adjust sensitivity read manual. To change cable connection, open the cover and read manual. Customer evaluation for "PIR sensor"